Mercedes Benz still continues being the choice of the luxury sedans be it the C-Class, E-Class or the limousine S-Class. But they’ve always struggled in the luxury SUV segment and the Q7s and Q5s got the better of their SUV offerings. But times have started to change. Their ML 250 and ML 350 are gaining popularity and are posing a nice bit of competition to the compatriots BMW X3 and Audi Q5. But their G-Class of SUVs is the class which hardly finds any takers on the Indian soil but seeing that they plan on restoring their status as the number 1 luxury car maker, they are planning to launch an all new G-Class which shall slot above the ML 350 and will lock horns with the Audi Q7 and the upcoming facelifted version of the BMW X5. Today we have for you the spyshots of the G-Class being tested on the Indian roads. 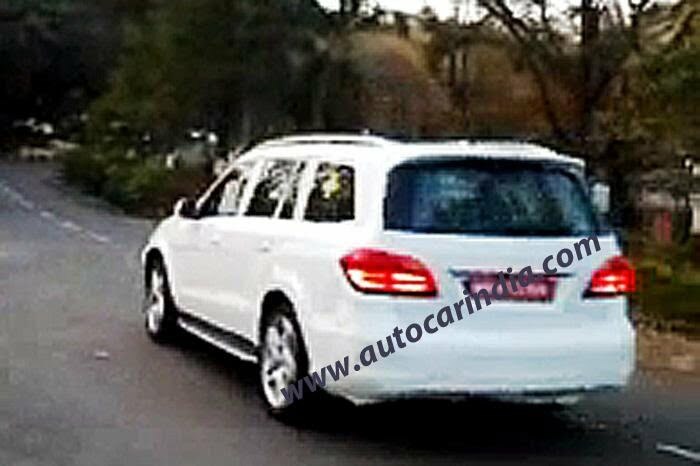 The spyshots suggest that the car comes with a AMG Sport Pack which becomes evident from the fact that the spied car has a different front bumper and additional tid bits which hint towards the performance variant of the SUV being tested. The AMG kit includes 21-inch alloy wheels, perforated 19 inch disc brakes, tweaked bumpers, flared wheel-arch extensions and illuminated running boards. The AMG badged cars have a certain appeal to them which even the S badged ones from Audi and M badged cars from BMW lack. 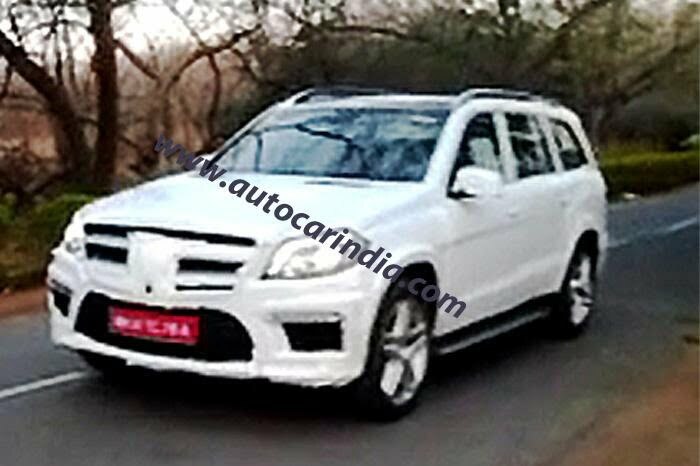 India will get the GL 350 CDI variant of the car with an optional AMG package and under the hood will be a 2987cc turbo diesel engine which will give out 255 horses and a healthy torque of 63.2kgm of torque. The engine will be mated to a 7-speed G-Tronic automatic transmission and it will be brought in India as a CBU initially with the SKD route being followed from the end of the year 2013. Audi has not give their Q7 a facelift in a while and BMW X5 is not very popular either. So the GL could surely find a lot of takers in the land of India.